The 2nd Global Boards Conference on cement-based and cement-bonded boards included an exhibition of board-related companies, including Wacker, Kirson, FIMEC, Qubiqa, Esmaglas-Itaca, Händle, Netzsch and Limab, with networking, coffee breaks and receptions taking place in the exhibition area. Global Boards 2016 started with a pair of presentations given by Robert McCaffrey, the conference convenor, combining an introduction to the manufacture, composition and properties of various different types of cement-based and cement-bonded boards - including fibre-cement boards of various types, cement-particle boards, woodwool boards and even cement-bonded CaSi and MgO boards. The second part of the presentation gave an overview of global board production, including a run-down of the world’s largest cement-based board manufacturing companies, including Etex, Elementia, James Hardie, Nichiha Corporation, Ramco Industries, Everest Industries, Saint-Gobain/Gyproc, Durisol, FibreCem Holding, USG, National Gypsum, Oran Vanich and Cembrit. The world’s largest cement-based board industries are located in the US, China, India, Russia, Japan, Brazil, Germany and Turkey. Craig Robertson of National Gypsum, USA, next spoke about fibre-cement boards in the US, primarily the company’s PermaBase product line. PermaBase is often used as a underlayment for tiles and features a patented wrap of glass mesh to reinforce the edges and to allow them to be butted-up snugly against other boards. The product can be used in high-moisture shower areas, swimming pool areas, steam rooms and saunas, as well as for counter tops and as underlayment for tiles. The product remains dimensionally stable when exposed to water, and additionally can be faced with stucco, with bricks or blocks, or with a masonry veneer. The boards have warranties for both interior and exterior use. A trend towards outdoor living in the US has boosted PermaBase sales, since whole outdoor kitchens can be produced with the boards. The impressive PermaBase Flex board can be bent to form smooth curves. 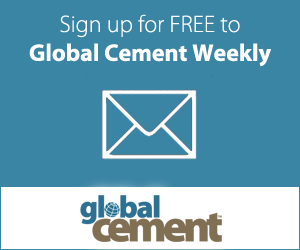 Craig mentioned that as US companies move into new markets such as Mexico, they tend to bring with them US architects and US building materials and techniques, leading to an expansion of cement-based board markets. The cement board is impervious to water and can be used in high moisture environments such as factories. Rebeca Negrón of ITACA next spoke about digital decoration of fibre-cement boards. Dyes and organic inks have previously been used, with offset, flexi, screens, gravure and laser printing, to print onto largely paper-like materials. These methods have not been appropriate for printing onto building materials. However, digital printing -incorporating piezoelectric inkjet printing heads and inorganic inks - can be used to add value to building materials, including fibre-cement products. For example, digital decoration can be used to decorate an entire panel to resemble a wooden panel. Such a panel would require pre-treatment with a primer, before printing, followed by a finishing coating stage such as a UV varnish, to provide surface protection. For example, Etex has started to sell Simplicito decorative boards into the market. Jean-Paul Lecomte and Axel Giesecke from Dow Corning next spoke about Si-based water repellents for cement-based boards. Dow Corning is a specialist chemicals company that focuses solely on silicones, including chemicals for building materials. 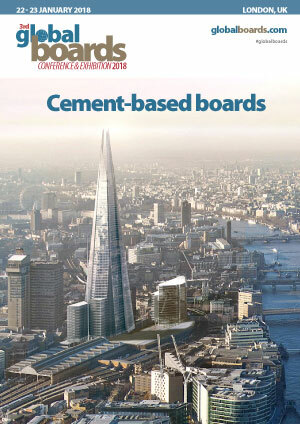 Addition of silicones to cement-based boards increases hydrophobicity of the boards, which limits the uptake of water and increases durability and dimensional stability of the boards. Silicones can be applied as a post-treatment to the surfaces (in which case cut edges or holes will not then be protected), or as an admixture (but which in some cases may affect the strength of the boards). Addition of a siloxane can also affect the application of a topcoat to the board. Impregnated surfaces can be made water impermeable but also permeable to water vapour, which can help with condensation management. A variety of silicon-based materials can be used, including siloxanes (‘silicones’), silanes and silicone resins (3-dimensional molecules of varying molecular weight, best used as admixtures). An emulsion of a liquid alkoxy silicone resin, such as Dow Corning’s IE 6686, adds hydrophobicity to the product, while being suitable for the board forming process. “One size fits all” does not exist, concluded Jean-Paul, suggesting that each production process and product should use a tailored additive specific to its needs. After the first day of the event - which coincided with the anniversary of the birth of Robert Burns, Scotland’s national poet - delegates enjoyed a memorable ‘Burns Night Supper’ which included speeches, whiskey and haggis. On the second day of the conference, Marco Hahn of Händle GmbH started the programme with a presentation on the extrusion of fibre-cement products. The company produces equipment for extruding a variety of fibre-cement-based extruded building materials, including panels, planks, door and window jambs, trims and spacers. The mix used for the products, known as the ‘extrusion matrix,’ includes cement, limestone, fly ash, fibres (glass, cellulose fibres and others), water and other additives. The extruded forms undergo a 24-hour pre-curing process in autoclaves and then a subsequent longer period of curing at ambient temperature, as well as possible post extrusion modification such as sanding and cutting. Fibre-reinforced-cement elements can be used as pre-fabricated walls, as well as sound barriers, walkways and stay-in-place formwork. The extruded fibre-cement elements have the advantage of low weight and non-combustibility. Anil Seth of Libran Enginering next spoke about the possibility of using the large quantities of mineral wastes generated in India as ingredients in value-added mineral-based ‘green’ products including boards, panels and tiles. For example, India produces 300Mt of flyash each year, which will increase to around 450Mt/year by 2020. Only a small proportion of this is used at the moment, leaving very large quantities to be landfilled: and the ash ponds (60,000 hectares of which currently exist) are filling up. Power stations are being forced to close because they cannot store their waste products: the ash producers are therefore happy for companies to take away this material at next-to-no-cost (with some electricity generators offering free land, electricity and ash to companies willing to take the ash away). Critically, flyash can bring advantageous properties to building materials, including durability as well as decreasing the heat of hydration. Among the first applications for flyash will be as the major component of flyash bricks, substituting for clay. Other applications may include coal-ash based mineral wools, foamed insulation products and flyash fire bricks. Pellets of flyash can be used as lightweight synthetic aggregates, while flyash has also been used for dish-washing soap-bars, toothpaste and cosmetics. Flyash based panels are relatively light and can be profitable for manufacturers. Cristos Dedeloudis of Imerys next spoke about adding value to cement-based boards using mineral additives. Reducing board weights, adding insulation properties and decreasing the embodied energy are strong trends seen by Cristos. A lightweight clay aggregate, based on perlite, can be used to accomplish all three of these objectives. The compressibility of the perlite aggregate can be reduced compared to its bulk density, by carefully selecting the raw materials and by tailoring the manufacturing process of the aggregate. In another project, Cristos mentioned synthetic geopolymer-based expanded perlite minerals (‘3i LFM’) derived from the glass industry (expanded at 600°C using efficient infrared heating) which can be used to reduce the embodied energy and increase the durability of manufactured building materials. In addition, the additive increases the insulating properties and flexural strength of the board at the same board weight. Stefan Jerrelid of Limab spoke next on non-contact ‘in-line’ laser dimensional measurements of fibre-cement boards. The instantaneous inline measurement (which is possible at the ‘wet end’ and also after sanding) allows immediate alarms for out-of-tolerance materials or of defects, while also allowing an increase in yield, and reduction of waste through fine control of production set-points. The instruments measure thickness, as well as width, length and flatness. Alberto Abbo of Bifire, an Italian fibre-cement board producer, next gave some suggestions on how to increase the lightweight cement board market. Alberto suggested that a good approach is to focus on new markets for cement-based boards, such as applications in high humidity environments (thereby displacing ‘wrongly-used’ boards such as paper-faced and gypsum boards). Alberto further pointed out that the dissolution products of (some) MgO boards are corrosive to metals and that they should not be used in wet or moist environments. Bifire developed a new board, AquaFire, that can take market share from ‘wrongly-used’ boards; can be cut with a knife, can be screwed as easily as a gypsum board, is 17% lighter than standard cement board, comes in a smaller size so that one person can handle the board easily, has a degree of flexibility and has all applicable technical qualifications (CE markings, European Technical Assessment, fire-ratings etc). Robert McCaffrey again stepped up to the podium, to give an overview of some of the global trends that are likely to influence fibre-cement board markets in the future, including ageing societies, an increase in urbanisation, the rise of developing nations and an increased focus on environmental impact abatement. The final presentation at the conference was given by David Perilli of Global Cement, and was a video-based virtual tour of the world’s fibre-cement factories and products, as well as looking at examples of cement-based board marketing from around the globe. At the end of the event, the conference prizes were awarded to those papers voted the best by delegates: In third place was Cristos Dedeloudis of Imerys with his paper on mineral additives; in second place was Rebeca Negrón of Itaca with her paper on digital decoration of cement-based boards; while the winner of the best presentation award was Alberto Abbo of Bifire, for his paper on gaining market share for cement-based boards. Delegates praised the conference for its excellent networking opportunities, and agreed to meet again in two years, in January 2018 for the 3rd Global Boards Conference.